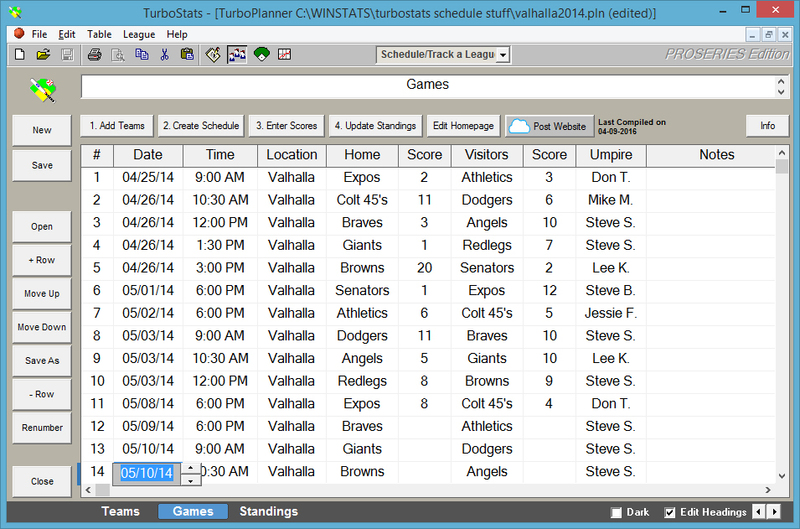 Enter your teams and TurboStats will make a schedule for you. Enter the game scores right in the schedule and TurboStats will even compile the standings and make a webpage (Sample Website) . You can have your teams submit their game scores by entering the score right on the webpage and pressing [SUBMIT] to send you the score by email. If you just want to enter the wins/losses yourself you can do that too! Available in the ProSeries edition.